Some days when I flick through a cookbook or magazine, or sift through my many many magazine clippings I come across something I feel like eating as soon as I see it. This happened with this dish. I saw it, I wanted to eat it. I am glad I did, it was delicious, it was just perfect. My family loved this, I served it with Pommes Anna and a green salad, and my family could not praise it enough. This is a seriously easy dish to make, not the cheapest, but as a special occasion treat, you will enjoy every bite. Baking for 35 minutes cooks the lamb pink as I like it, 45 minutes the lamb will be cooked through. Halve onions, slice into thin wedges, place in a large baking dish with the whole sage leaves, drizzle with half the oil. Season lamb all over with salt and pepper. Combine the remaining oil in a small bowl with the chopped sage and garlic. Press the sage mix all over the lamb, place on onion in baking dish. 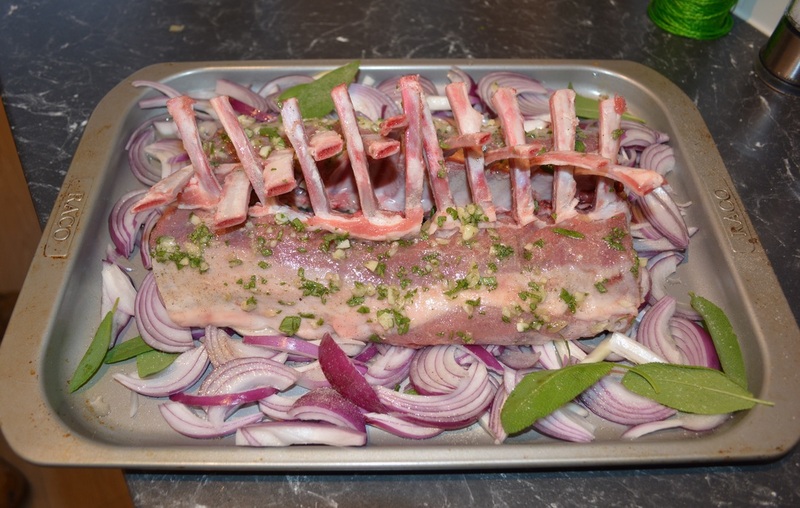 Roast, uncovered, about 35-45 minutes or until the lamb is browned all over and cooked as desired. 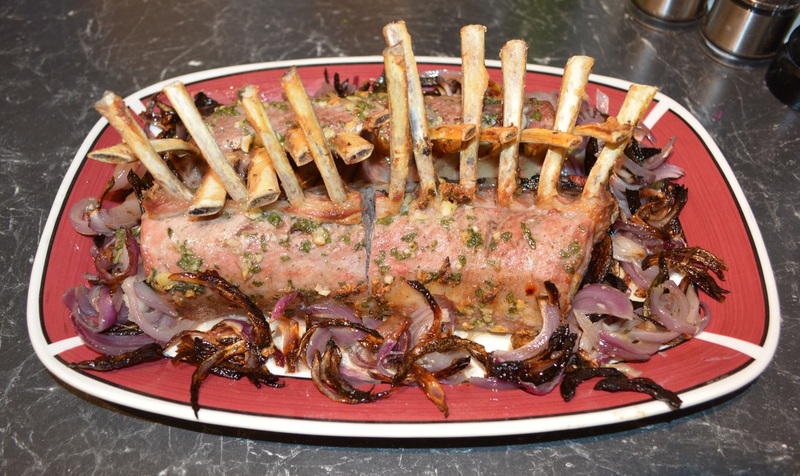 Cover lamb racks; stand for 10 minutes before serving. Serve with a green salad and Pommes Anna or simply baked potatoes and pumpkin.